Gears are the workhorse of so many mechanical devices. These “wheels with teeth” help everything from a bicycle to a merry-go-round move. Often coupled with motors, we can use gears to either help us increase the rate of spinning or to multiply the force provided by a motor, but NEVER both! So, to increase the speed AND force, we’d need to add more energy to a system and gears alone cannot do that. We can predict how much faster or how much more force is created by a gear system by comparing the gear ratios! 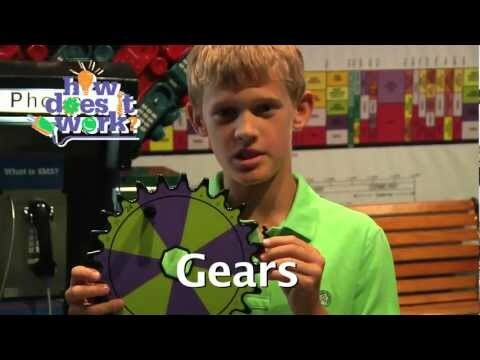 At the Children’s Museum of Houston, we have a great exhibit component – the Gears Table – in our How Does It Work gallery where you can explore gears and gear ratios. Check out the video for more info!